Why represent yourself in court A recent discussion on Radio 4 about the divorce process without a lawyer featured real people explaining the stress and upset they experienced. One man was sure it had reduced his life expectancy by several years. A contributor explained the basic problem if representing yourself is that it is a system designed to be used by lawyers. A man who had represented himself said he was made to feel like a bad barrister by the judge and others felt bullied by the judge and manipulated if the other party had a lawyer. If this does not sound familiar to you, you may be preparing to embark on self representation in a disputed case rather than having experienced it. This blog sets out the pros and cons of self representation. Michael Brennan is a family law specialist with over 25 years experience in financial cases on divorce at Stonehewer Moss solicitors in Northwich Cheshire. He certainly recognised all of the views expressed in the discussion and says, ” Things, believe it or not, are far better than they were in the early 90s when it really was quite brutal and certainly a lawyers domain. When my heating breaks down I do not expect sympathy from my plumber. 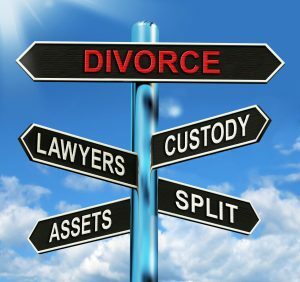 Divorce is a legal process. I had sympathy for the real people canvassed in the programme but Sir Paul Coleridge, a retired senior family judge, was correct that the Courts and lawyers generally do try their best to accommodate litigants in person. Bullying is systemic and not directed at those representing themselves in isolation; sadly your choice of representation is vital for this reason alone. Every case is different and all the contributors came to the discussion from an individual perspective but on balance I agree that loss of Legal Aid will cause injustice and real harm in some cases, I think the existence of the professional McKenzie friend ( see below) a sad reflection on the system and open to abuse and that most people should be able to find some level of help to ease the stress as we identify in this blog”. To listen to the debate called Splitting the Assets broadcast on Radio 4 on 3.2.16 visit http://www.bbc.co.uk/programmes/b06z2v62 We would like to know your views. Why represent yourself in court when you are divorcing. Here is Michaels` take on the pros and cons. It is free to represent yourself. The outcome you get you have received without charge. Do prepare a schedule of assets for the Court. Let us say it shows you have £200,000 in assets but your spouse says it is actually £350,000. Your free result may costs tens of thousands if the Judge agrees with your spouse. The law is straightforward. Apply s25 MCA 1975 and the overriding objective of the Court and you should not go far wrong. Unfortunately this is to overlook the emotional factor in divorce. You may be calmness personified but do you come across too cold and antagonise your ex and it causes a mess. Your emotional state may genuinely cloud what should be a reasonably simple process. A degree of self scrutiny is required to appreciate the subtlety of this problem. Your family or friends in the pub give you lots of advice from their experience of divorce you apply to your case. Remember every case is different and well meaning relatives can compound an unrealistic view of your prospects. An experienced family lawyer can be consulted without commitment to full blown representation. Michael cannot help speaking his mind to clients, who will soon know where he thinks they stand and most experienced family lawyers of integrity will feel the same way. Take a friend to the solicitors appointment to make sure you are not blocking out advice you do not want to hear. Some cases really do not need a lawyer at Court. It is admirable if you and your spouse, perhaps with mediation or collaborative law assistance, reach agreement. Make sure you obtain a court approved consent order after decree nisi and pay only to have the consent order professionally drawn up. Following the cutting of Legal Aid many solicitors support pro bono organisations like CAB, University law clinics and no obligation appointment. Michael offers the latter and offers to supervise students at two Universities. This may be all you need. Look on the light side. Michael means no disrespect because he applies it to himself outside of his field that the old joke is true,” Anyone that represents themselves has a fool for a client”. You may get away with it or find a new vocation in life as a lawyer. Michael estimates the chances of this outcome are about 20% and under. anyone representing themselves is being reckless with their future and current finances. The government supports genuinely informative websites such as http://www.advicenow.org.uk/guides/how-get-divorce-or-end-civil-partnership-without-help-lawyer . Unfortunately at the end of the process you may find the discretion of the judge so broad that you are convinced he or she dislikes you or got out of bed on the wrong side. You will certainly leave feeling informed by a real person. Use a McKenzie friend. The court will usually let you take someone into court to support you presenting the case. They cannot cross examine for you but there are people that will do it for a price. Why are they not qualified lawyers? Check option 10 thoroughly first. Trust to the judge, act respectfully to your spouse and do everything the court requests on time. The courts are becoming used to self representation and there are protocols for lawyers to follow if representing a party against a litigant in person. If you follow this rote, make it the last resort and try to spend what you can paying a lawyer to negotiate for you before court, even if only the mediator. Negotiate a fixed fee and keep an open mind to a sensible stage in the process. Tell yourself you will settle at that stage for the best outcome nearest to your preferred option. Solicitors need not cost a fortune and any sensible cost/ benefit analysis you carry out should overwhelmingly favour using a proportionate part of your resources to pay for a lawyer. Bad lawyers can make costly outcomes, doing it yourself usually costs more than it might. This article was added on Thursday, February 4th, 2016 at 10:29 am and is categorised under Cheshire News, Chester News, Child arrangements, cohabitation disputes, collaborative law, Divorce, divorce finances, Family finances, Family Law, General News, Macclesfield News, Northwich Events, Runcorn News, St Helens news, Warrington News, Widnes News, Winsford News. Both comments and pings are currently closed. Error: Error validating access token: Session has expired on Saturday, 09-Mar-19 13:12:58 PST. The current time is Thursday, 25-Apr-19 10:06:52 PDT.